Goalkeeper: David Ospina kept another clean sheet on Tuesday night and it doesn’t look like Wojciech Szczesny is going to displace the Colombian any time soon. Defence: Gabriel Paulista is available again and there is a case to start the Brazilian in defence, but Per Mertesacker has been in decent form in recent games so I think we’ll see Wenger stick with him alongside the ever-reliable Laurent Koscielny once again. Hector Bellerin should keep his place at right-back after another excellent display against Monaco but I think we might see the boss bring Kieran Gibbs in at left-back. Midfield: Francis Coquelin will continue in the holding role but it’s going to be interesting to see who Wenger picks alongside him. 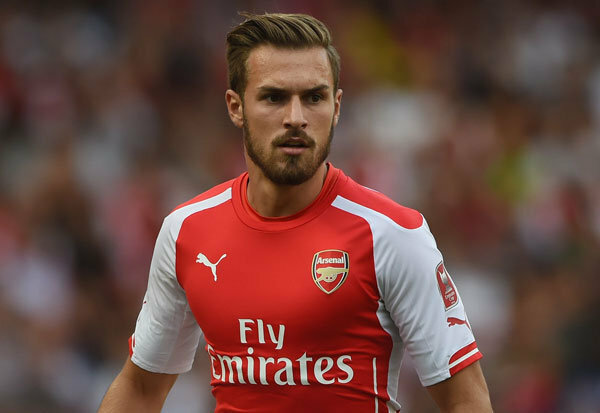 Aaron Ramsey was left-out on Tuesday but came off the bench to score, so I think the Welshman will be recalled on Saturday afternoon. This could see Santi Cazorla given a rest as he looked a little tired during the closing stages against Monaco. Attack: Theo Walcott was only named as a substitute in midweek but the boss has voiced his concerns about fatigue in the squad so we could see Theo given a rare start ahead of Danny Welbeck. Mesut Ozil should continue in the advanced midfield role after another positive display in France while Olivier Giroud should continue to lead the line. Alexis Sanchez has hit a bit of poor form lately but he’s still a world class talent and we simply can’t leave him out. What do you think? 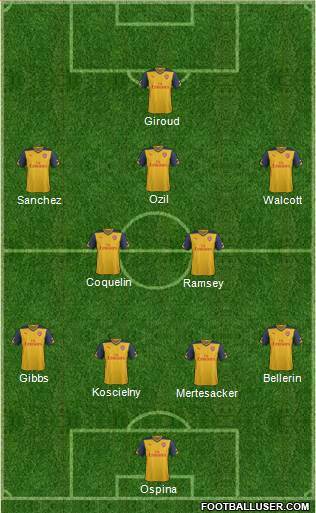 What line-up would you like to see start?